https://mahampsc.mahaonline.gov.in/ is the official website of Maharashtra Public Service Commission (MPSC) Online Application System. 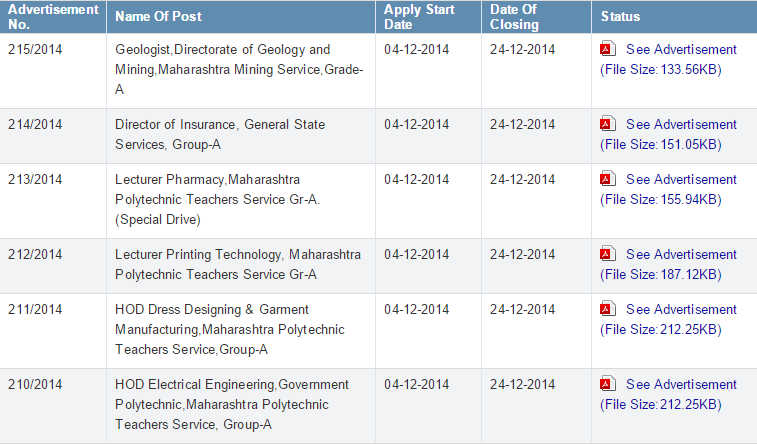 Government Job Vacancies in Maharashtra can be applied online through this site. Interested candidate have to Visit the Website https://mahampsc.mahaonline.gov.in and click on New User Registration. Fill the Application Form and click on Create User. Notedown your Username and Password. If already Registered you can Enter your Username and Password and Login to your Account. Once Registered online simply Login to the Account. Your Application Submission is completed.